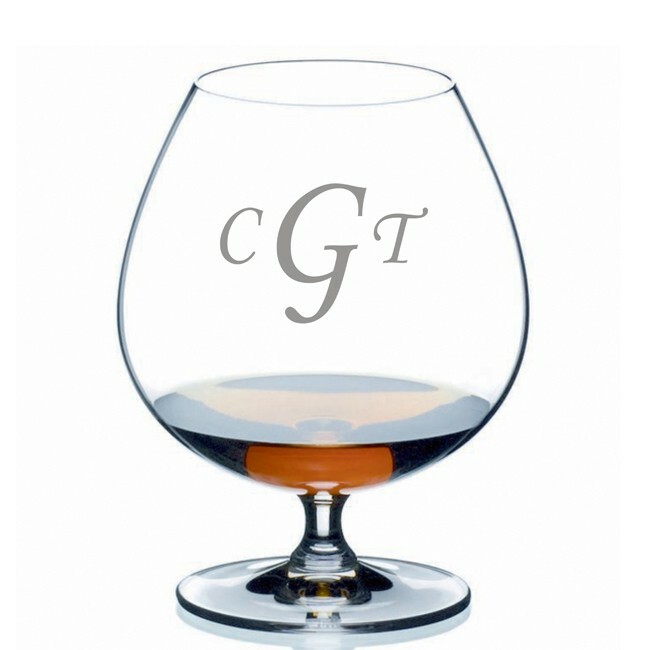 These Riedel Cognac/Brandy snifters are a perfect addition to your barware collection. The bulbous balloon-style bowl on each glass is specifically shaped for drinkers to cup the bottom and warm the brandy or cognac with one hand. Coupled with the narrower rim on the glass, the bowl is also designed to waft the liquor's aroma to the nose with each sip. 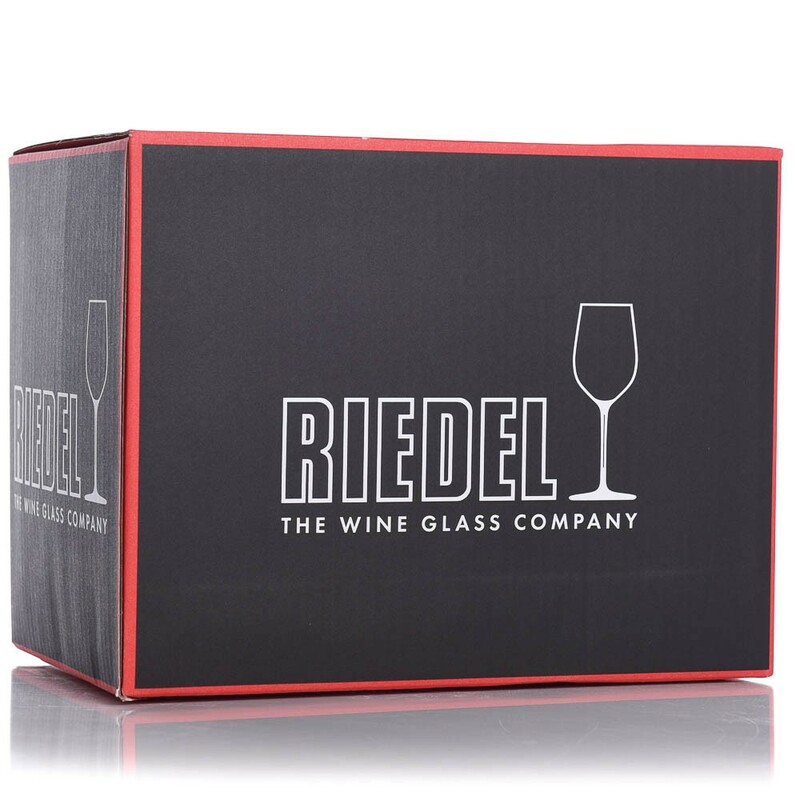 Personalize this beautiful brandy glass set from Riedel Crystal to give as a gift to complement any connoisseur's bar or to start your collection with the perfect crystal pieces. 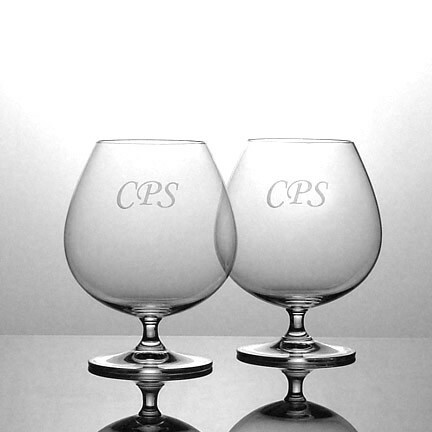 These glasses have proved to consumers and restaurateurs that the pleasure of consuming wine starts with the glass. 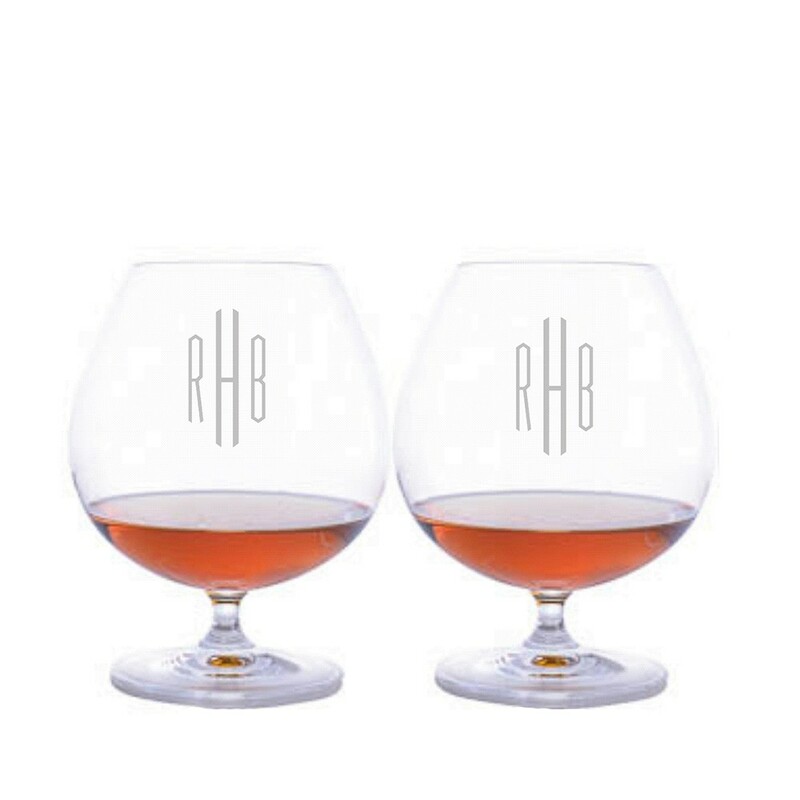 These glasses come in a set of 2. Height: 6" Capacity: 29.6 oz.